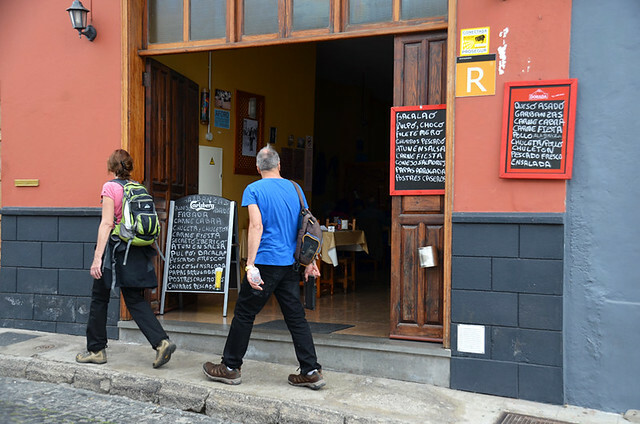 Although we enjoy exploring the contrasts found across all areas of Tenerife, there is one particular aspect relating to visiting some parts of the main southern resorts I occasionally resent – eating out. I’m referring to resort restaurants rather than in hotels. Generally speaking, there are some areas where, for the same standards and quality we’re used to in restaurants in many other parts of Tenerife, there’s a premium to pay. 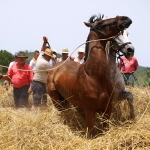 Recently I saw a description of a meal which illustrated partly why we don’t normally opt for Canarian cuisine whenever we visit purpose-built resorts. A meal in a decent traditional restaurant consisting of a couple of main courses and pud, accompanied by a half bottle of wine, was €90. On Tenerife I consider that to be significantly overpriced. The other reason we avoid ‘local’ cuisine is that purpose-built resorts by their very nature aren’t the best places to try traditional cuisine. There have been many times when we’ve stood at a menu board in Costa Adeje and gasped at the price of a traditional dish which was at least double what we’re used to. That’s the part I resent; paying over the odds for a dish I know the true value of. To highlight what I mean I thought it might be an interesting exercise to pick popular traditional restaurants of a similar standard in terms of cuisine/decor in five locations around Tenerife (Santa Cruz, Los Cristianos, Costa Adeje, Los Gigantes, and Puerto de la Cruz) and compare the prices of two starters and two main courses commonly featured on traditional Canarian menus. It threw up some interesting comparisons. You don’t have to search many traditional restaurants anywhere to find menus with prawns in garlic. In the two restaurants surveyed for Santa Cruz, this sizzling dish was €6.80. In Los Cristianos, the first two restaurants I looked at had them at €10.50. But a third was in line with traditional areas – €6.90. In Costa Adeje they were €12. In Los Gigantes it was €7 and €8, whilst in Puerto de la Cruz it was €7.50. I’d say just under €7 was average for good gambas al ajillo. 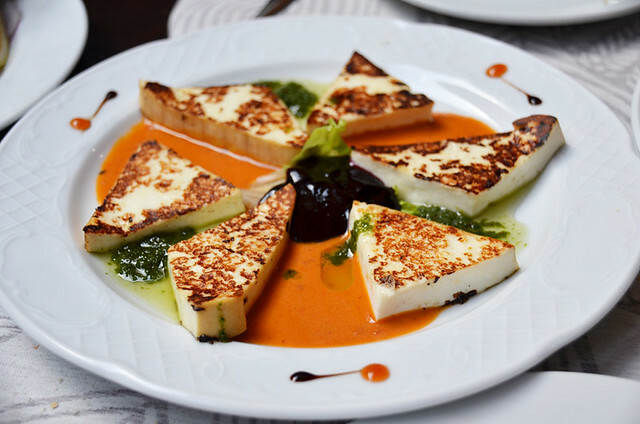 A classic Canarian starter, grilled cheese drizzled with mojos should be on just about every traditional menu… but it wasn’t as easy to find in some resort areas. In Santa Cruz the price was €6.80; in Los Cristianos €7.50 (although I did spot it at €6 in a basic local but the place wasn’t really comparable to the other restaurants). In Costa Adeje the price was €11; in Los Gigantes €5.90; and in Puerto de la Cruz €4.60. 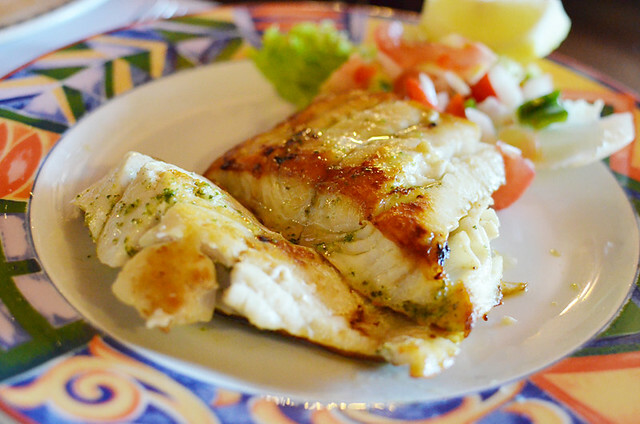 Cherne is one of the most popular of Canarian fishes as it’s a tasty, fleshy fish which doesn’t cost a lot… or shouldn’t. 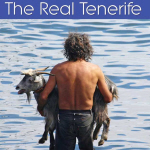 In Santa Cruz it was €10; in Los Cristianos €17.20; in Costa Adeje €17.50 and €20; in Los Gigantes €9.75; in Puerto de la Cruz €8.50. Cherne is one of the dishes which really highlights the chasm between the prices you can pay in different parts of the island. 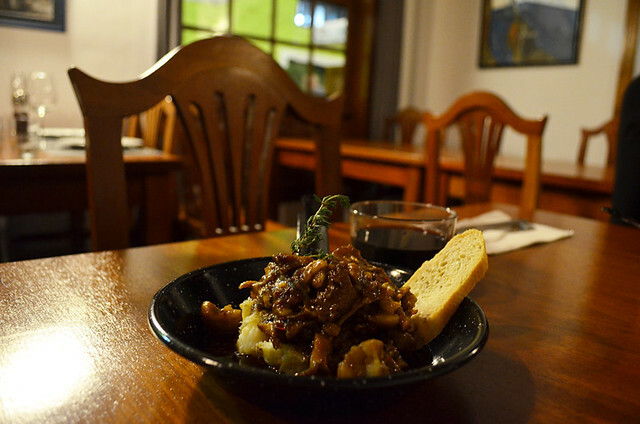 There’s an excellent restaurant in the Teno hills where we’ve enjoyed three hearty courses with a glass of wine for €10, and where the main course was a chunky cherne fillet. When I see it for €20 on the menu of a decent, but basically run of the mill, traditional restaurant I think someone’s having a laugh. 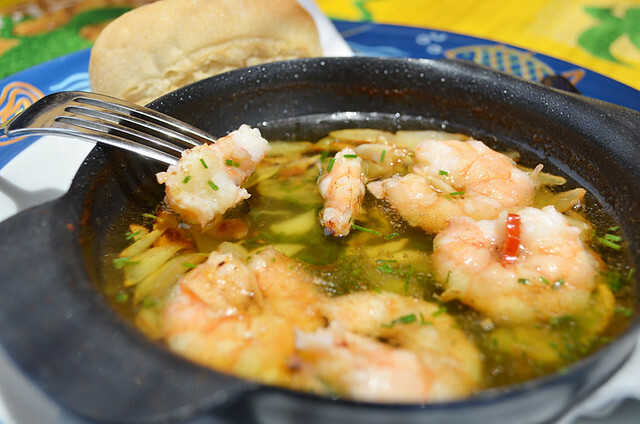 This is one of the dishes I most associate with Canarian cuisine but in some resorts it wasn’t easy to find on menus. In Santa Cruz it was €7.90 in one restaurant and €10.30 in another. Although I’ve eaten rabbit in Los Cristianos I struggled to find it on a menu online. It was similar with Costa Adeje but Otelo in Adeje serves it (€8), being in the hills rather than on the coast Otelo’s prices are in line with other traditional areas. In Los Gigantes prices ranged from €7 to €12.70. In Puerto de la Cruz it was €9.50 and €10.75. Rabbit is usually around €10. The rabbit in Puerto de la Cruz is especially interesting as it typifies why I resent paying over the odds. The restaurant where rabbit was €10.75 is probably the most renowned Canarian restaurant out of all the ones I used; the owner recognised as being one of the best traditional chefs on the island (the tourist board take visiting travel writers there) and his rabbit is certainly one of the best I’ve tasted on Tenerife. Yet it isn’t expensive, and that’s it in a nutshell. 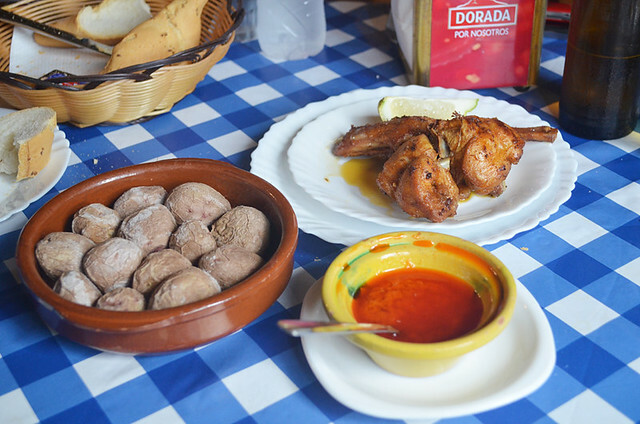 Good Canarian cuisine shouldn’t be expensive. If it is, then you aren’t paying local prices. I haven’t named most of the restaurants because their names aren’t important, they’re representational. 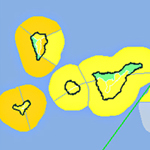 All restaurants (apart from Otelo) were in coastal areas. Even in the most popular resort areas, once you head away from the coast prices reflect those in other non-resort areas. In a way, the restaurants where prices are higher than the average found in traditional parts are only responding to market forces. Call a place upmarket and you can hike the prices to match the tag. Many visitors who don’t know what prices are elsewhere still consider their meals to be good value, as illustrated by the example used at the start. Ultimately, that’s the important thing… if you’re on holiday. If you’re not, or are use to prices in traditional parts, then it’s a different matter altogether. 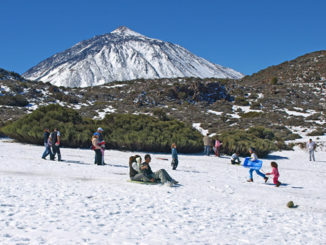 How many months of the year can you find snow on Mount Teide? Thanks for another interesting and informative article. 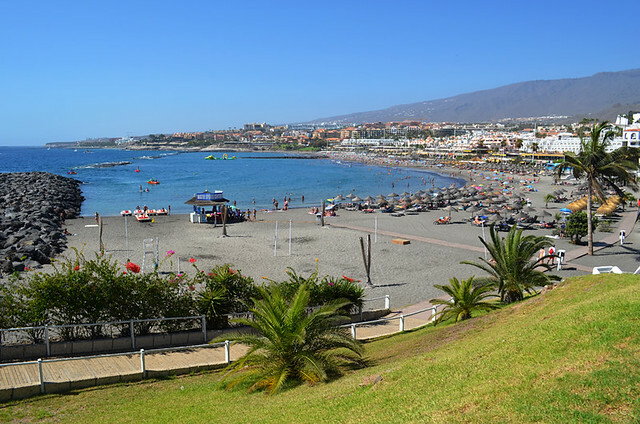 My sister and I are heading over to Puerto de la Cruz at the end of the month so I’ve been reading a lot of your article s about the Real Tenerife. We always find if you go the the bars and restaurants where the locals eat, you can’t go wrong!